Often times it can be difficult as a young beginner to get started playing electric guitar due to the size and potential inconvenience it could be to a younger or smaller player. Fear not! At N Stuff Music we carry a variety of ¾ size electric guitars for players that need to find an instrument that fits them physically. This allows young beginners to find a guitar that not only will excite them musically, but will also be a comfortable fit that will enable them with more opportunity to excel in being a student of the instrument. 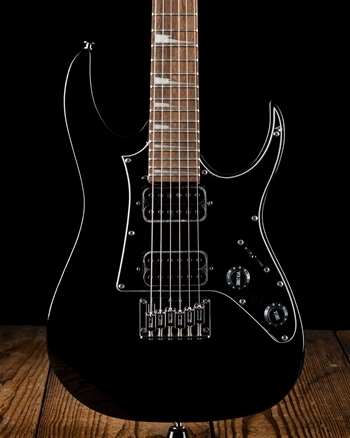 The Ibanez GRGM21 RG miKro is a great option for guitarists looking for the classic Ibanez tone and versatility but in a package that will suit them physically. 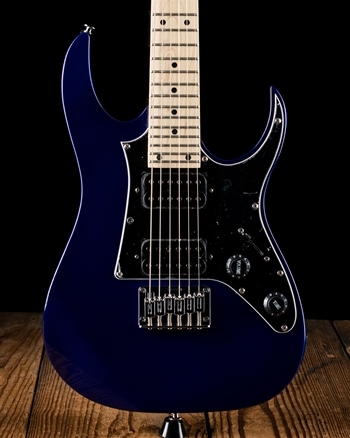 The poplar wood body of the Ibanez GRGM21 also make it a very light weight instrument helping further add to the ergonomic quality of the guitar for younger players. 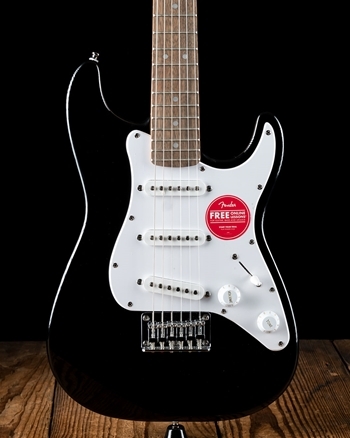 Squier by Fender is very well-known for their ability to make some of the finest and most reliable instruments for smaller and beginning players alike. 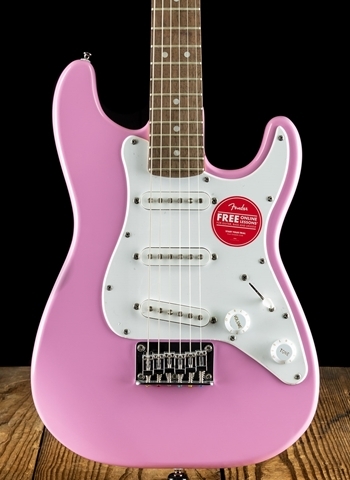 The Squier Mini series are essentially ¾ size Stratocasters, however, it features the same three single-coil design, body shape, and versatility that Stratocasters have been made famous for across the industry. Arguably the most important step when starting a beginner guitarist aside from purchasing the guitar is the instruction that will have them enthused and on their way to becoming a learned guitarist and musician. At N Stuff Music we have a faculty of top-notch, professional guitar instructors who are both active professional players and instructors in the industry today. We offer guitar lessons to students regardless of age at affordable rates at our store's location in Blawnox, PA, 15 minutes east of the city of Pittsburgh. Our instructors are exceptionally capable at pinpointing the inspiration and music that will drive your instruction in the direction needed to reach your desired musical path. Please visit our website at nstuffmusic.com and travel down to the "lessons" link to view our list of instructors and their bios. Call or email us today to inquire about guitar instruction at N Stuff Music.